If you're planning a wedding, you already know how expensive they get. In fact, the average couple spends around $14,000 on just their wedding venue. When you're spending that kind of money on a venue, you want to make sure it is memorable and unique. Contrary to current wedding trends, there are places to get married besides barns and beaches. These five unconventional wedding venues will leave your guests speechless. National parks are a great place to get married in the United States and there are over 400 to choose from. Odds are, there's a park that fits the feel of your wedding. From deserts to mountains, no two national parks are the same. Once you've chosen the national park you want to get married at, then you can start planning. 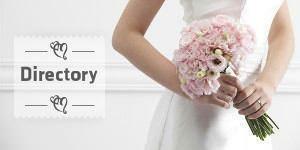 Many parks have resorts or hotels that can accommodate a wedding and your guests. Are you and your future partner animal lovers? If so, you should consider getting married at a local zoo. First, reach out to your local zoo and see if they offer any sort of rental opportunities. If they do, figure out what exhibits they allow events to occur near. While you aren't allowed inside the lion's den, having them in the background during your ceremony will be unique! On a similar note, aquariums can also make great unconventional wedding venues. Botanical gardens offer all the beauty of an outdoor park without the fear of weather mishaps. Imagine a winter wedding surrounded in green foliage. Or a spring wedding among all the blooming flowers. Either way, a botanical garden makes a great backdrop for any garden. Usually, botanical gardens have very little sitting room, so we only recommend this venue for smaller, intimate weddings. Take your basic beach wedding and set sail on a boat! Large yachts or double-decker boats make unique wedding venue ideas. These boats hold a lot of people and usually have a dance floor. We encourage you to plan your boat wedding at sunset so you can enjoy the views. Bonus points if your whole wedding has a nautical theme! Make your own anchor invitations with a card maker and use seashells in a vase for centerpieces. Museums are another one of the unique places to get married. Avoid museums that are in remembrance of tragedy, such as the Holocaust museum or the September 11 Memorial and Museum. Look for one of these unconventional wedding venues when you start planning your wedding. It's not hard to turn any venue into a unique location. Remember that the venue is the foundation of your wedding. The decor, food, and entertainment can turn an average venue into an above-average wedding. Thinking about a destination wedding? 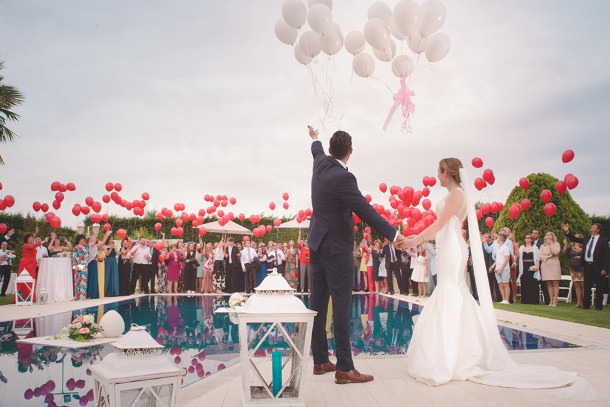 We have destination wedding guides covering 30 countries in six continents.